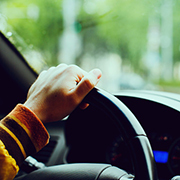 Many business owners fail to follow the strict tax rules for substantiating vehicle expenses. But if your business is audited, the IRS will most likely ask for mileage logs if you deducted vehicle expenses — and it tends to be especially critical of the amount deducted if you're self employed or you employ relatives. While the basics seem simple, there are numerous exceptions. Taxpayers can deduct actual vehicle expenses, including depreciation, gas, maintenance, insurance and other vehicle operating costs. Or they can use the standard mileage method, which allows a deduction based on the standard rate for each mile the vehicle is driven for business purposes. For example, the standard mileage rate is 57.5 cents per mile in 2015 and 54 cents in 2016. If you drove 1,000 miles for business purposes in 2016, you could deduct $540 under the standard mileage method. Regardless of the method used, the recordkeeping requirements for mileage are the same. They're also the same whether you're the only employee who uses a vehicle, you employ others who use company vehicles, or an employee uses his or her own vehicle and is reimbursed by the company. 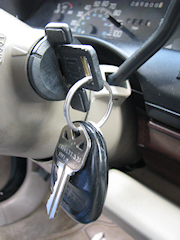 Employees who use their own vehicles must provide these details to their employer. If an employer reimburses an employee without the required documentation, the reimbursement is taxable income. If an employee uses a company vehicle, the IRS considers any usage that's unaccounted for as personal use and the value of unaccounted usage should be included in the employee's income for the employer to secure a deduction. The IRS requires "contemporaneous" recordkeeping for mileage. That means a recording at or near the time of the trip. You can record the mileage at the time of the trip and enter the business purpose at the end of the week. But waiting much longer could raise suspicion about the validity of the vehicle log and potentially jeopardize your entire vehicle deduction. The tax agency requires varying levels of detail, depending on the circumstances. For example, you might be able to list only the customer's name if you visit someone regularly to demonstrate new products, provide service and take orders. But cold calls to prospective customers may require a more detailed write-up in your vehicle log. A single entry may be enough for visits to several customers in the same day, but you may need to log any detours taken for personal reasons, such as personal errands or lunch with your spouse. Employees who own a 1% or more share of equity, capital or profits in the business. Any vehicle designed to carry cargo with a loaded gross vehicle weight over 14,000 pounds. Not listed above are more obvious exceptions, such as cement mixers, combines and bucket trucks. In addition, the IRS permits exceptions for trucks or vans that have been specially modified so that they aren't likely to be used more than a de minimis amount for personal purposes. An example is a van that has only a front bench for seating, has permanent shelving that fills most of the cargo area, constantly carries equipment and has been custom painted with the company's name and logo. Use technology. Mileage logs don't have to be kept in a written diary or day planner — you can download an app to your tablet or cell phone to track mileage. These apps typically allow you to take a picture of the odometer for the beginning and ending mileage. If you allow this method, require workers to back up their electronic mileage logs regularly to prevent loss of mileage records. Alternatively, you might use GPS tracking of company vehicles to help document mileage. Apply sampling methods. The IRS allows taxpayers to use the mileage for regular routes — for example, if you visit the same customers on a fixed weekly schedule — and extrapolate the sample mileage over the entire tax year. This can save time, but you'll have to show that the sample is valid. And if the route changes midyear, you'll have to show how you updated the sample. The easiest way to simplify recordkeeping for vehicle expenses is to use the standard mileage rate, rather than tracking actual expenses. Doing so eliminates the need to save gas receipts and maintenance records. But the downside is that this method tends to understate expenses, particularly if you drive an expensive gas guzzler or pay above-average insurance premiums. If a vehicle's business use is high but its total use is low, actual fixed costs — such as insurance and depreciation — are likely to be higher on a per-mile basis than with the standard mileage rate. Vehicle expenses can quickly add up for businesses — as well as for individuals who are tracking mileage for itemized medical or charitable deductions, or supplemental business activities such as managing investments in local businesses or rental properties. But as easily as they add up, so too can vehicle deductions vanish in an IRS inquiry. The key to preserving your deductions is maintaining up-to-date mileage records. Too often, taxpayers assume they can put together a mileage log the night before the IRS visits. That rarely works. For example, the IRS questioned a situation in which the taxpayer used the same pen over a two-year period. In another case, the IRS noticed that the taxpayer claimed to be at the post office and an hour later was at a client 110 miles away. In cases where there are more than a few discrepancies, the IRS often denies all vehicle expense deductions, claiming the mileage log wasn't credible. On top of losing your deduction, you also might face penalties and interest for underpaying your tax liability. When it comes to the recordkeeping requirements for vehicles, the IRS rarely allows exceptions for its strict rules. Don't assume you qualify for an exception, check with you tax adviser first. He or she can help you navigate the complicated vehicle recordkeeping rules with confidence.